Recently became available scripts in Google Spreadsheets for personal accounts (gmail). In addition, we can publish scripts in the gallery. 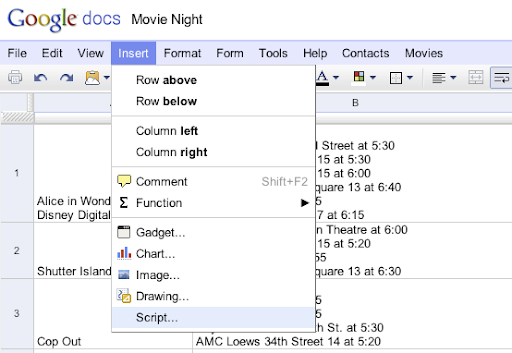 Now we can create scripts for Google Spreadsheets, upload, post, communicate with other users. Scripts have a rich set of features. We can use all the management services available in Google. creation of user interfaces (custom spreadsheets UI). return "You have to write the name the place"